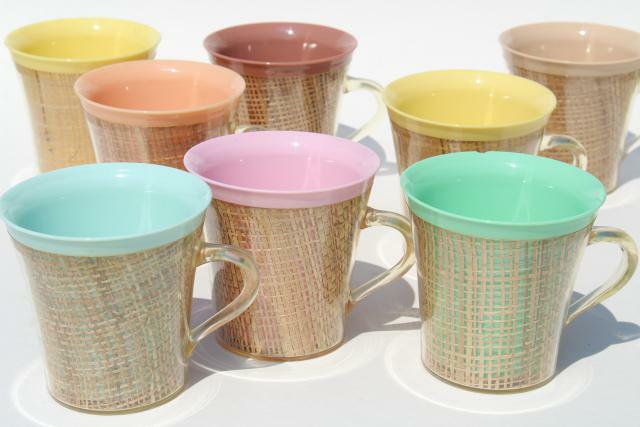 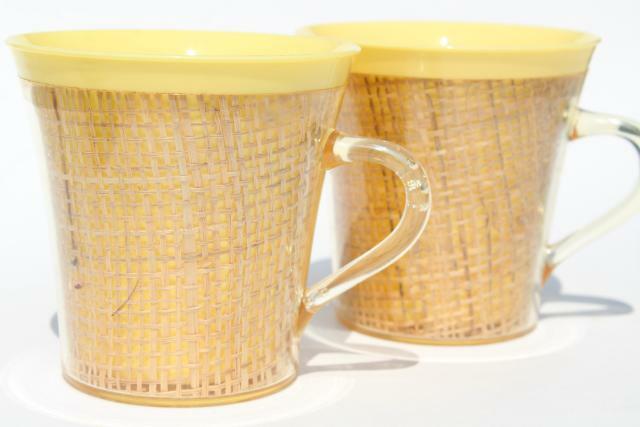 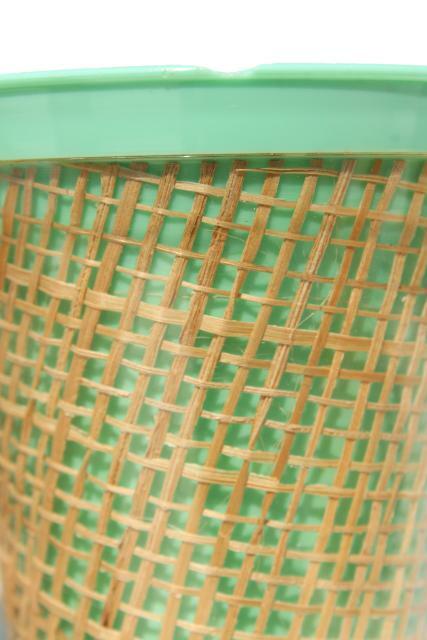 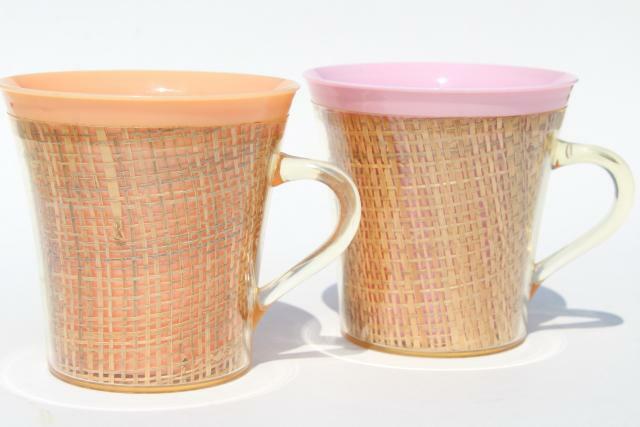 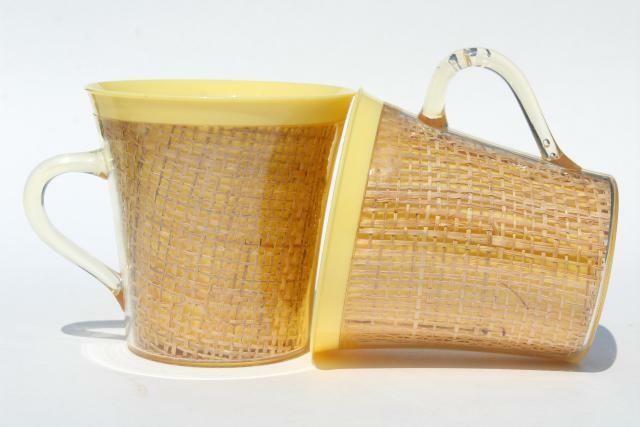 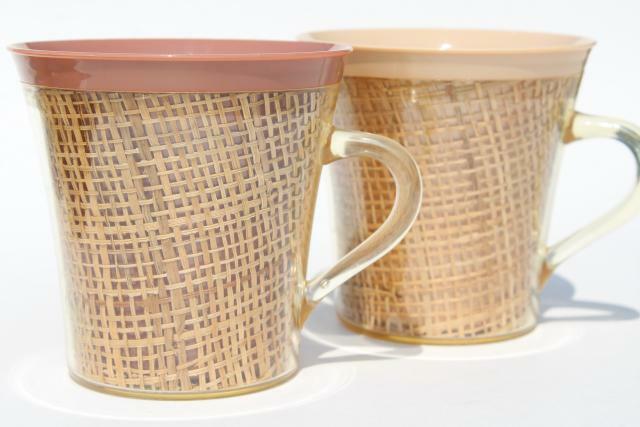 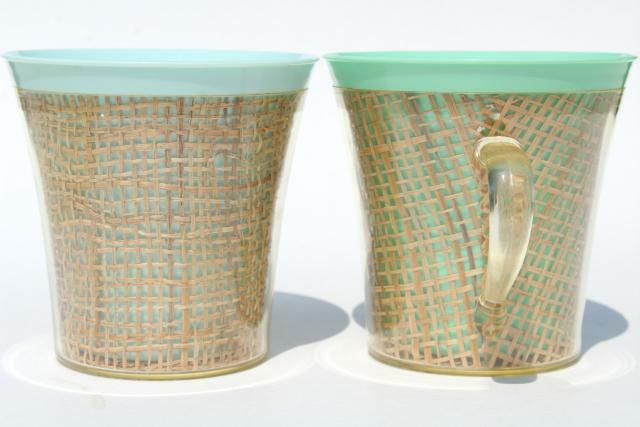 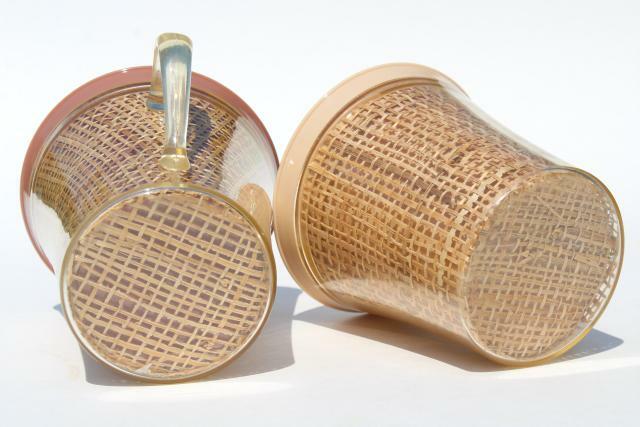 Unmarked 60s or 70s vintage acrylic plastic mugs with encased burlap, thermo-serv raffiaware style. 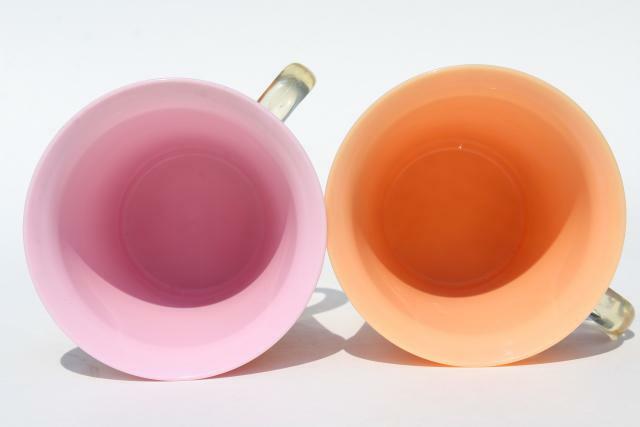 This is a set of eight mugs in assorted colors as shown, all 3 1/2" tall. 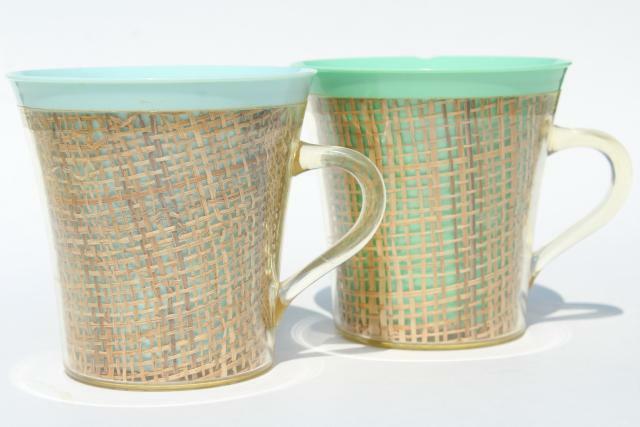 They're all clean and nice without a lot of wear or staining - the only damage is a small chip to the rim of the turquoise cup.